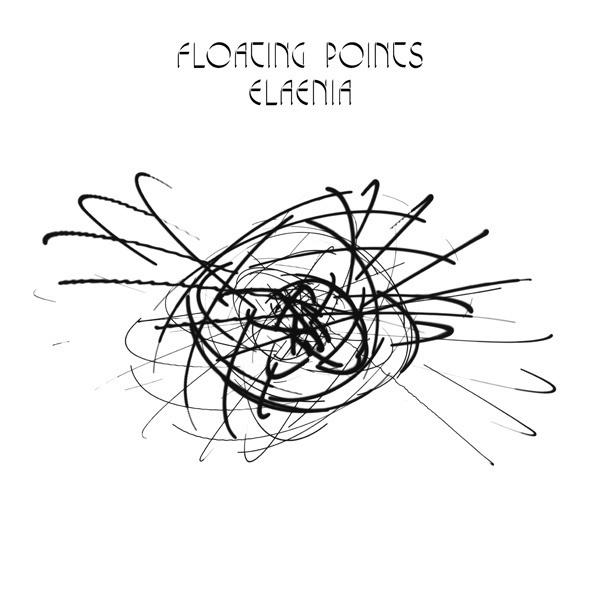 Review: Floating Points, 'Elaenia' A slice of ambient, psychedelic-jazz dance music from one of the London club scene's top producers. There are only hints of vocals, and the ones that do appear aren't used in the service of language. Since making his debut in 2009, Floating Points' Sam Shepherd has been an oddball in England's dance-music scene. Though the first in his steady stream of singles came out during the U.K.'s fruitful period immediately following the rise of dubstep, it was instantly clear that Floating Points didn't fit the scene. His music was generally slower. It was more traditionally funky than anything tagged "bass," and engaged with house and disco ideas without being overly didactic or traditionalist. He was reliant on live instruments (specifically keyboards) and used them like a player, composer and arranger, not a producer. In retrospect, it all makes sense. Shepherd grew up an accelerated musician, singing in the Manchester Cathedral Boys Choir for years — where he learned to sight-read music, and where they still perform his early choral works — then studied composition and piano. After he moved down to London and began making music for the dance floor and for his DJ sets (including a long-running residency at the legendary Plastic People), his recordings began to be based on improvisation. There are only hints of vocals on Elaenia, and the ones that do appear aren't used in the service of language. This is, instead, an album of open sonic spaces. Some take the form of quietude, gradually marking transitions and chapters; others are canyons of emptiness, providing clarity in between layers of keyboards. The final one, which shuts down the set-ending "Peroration Six," connotes closure. It should go without saying that Elaenia sounds absolutely fantastic on headphones. Many of the core players surrounding Shepherd also create a clear distinction about what sort of madness might ensue. Bassist Susumu Mukai used to make incredible dance-punk records as Zongamin; guitarist Alex Reeve is a multi-instrumentalist with the global-minded London band Hejira; one drummer is Hot Chip's Leo Taylor, while the other is Tom Skinner, accompanist to Jonny Greenwood's non-Radiohead musical excursions, as well as to Ethiopian master Mulatu Astatke and micro-house don Matthew Herbert. The music they make together is loose but meticulous, grand though never bombastic. It is also by turns devoid of rhythm and devoted to a malleable, unorthodox version of it — at least by club standards. The closest thing that Elaenia features to a 4/4 is the opening "Nespole," which is, for all intents and purposes, a beatless techno track; it's one of the album's four songs to feature Shepherd alone in his studio, weaving together assorted synth threads. Or maybe it's "Thin Air," in which the tweaked martial gallop of Shepherd's snare unfolds as a soft bed for an analog keyboard fantasia. The effect is retro-futurist science fiction, as if Herbie Hancock's Sextant or Thrust were made in the wake of various Detroit techno experiments. The three full-band pieces, on the other hand, are a whole different breed. The aforementioned "Peroration Six" is all ascension, as its guitar, Rhodes and strings spiral toward the heavens like a psychedelic "Bolero" before its wings are sliced off mid-flight. "For Mamish" is a keyboards-first mood piece which keeps building into grooves that wouldn't have sounded out of place on Herbert's turn-of-the-century jazz-house albums, and then abandons them. Best of all is "Silhouettes," an 11-minute triptych in which Skinner, Mukai and Shepherd ramble across a melodic horizon like a soul-jazz trio making dance music. Occasionally, they're joined by voices, as well as a string quartet, ostensibly to settle the senses but instead unearthing bonus emotional asides. It is unlikely music — not without precedent, but incredibly rare.